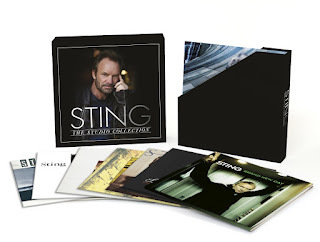 On September 30, A&M / Interscope Records are proud to release The Studio Collection, a career-spanning vinyl LP box set featuring all of Sting's seminal solo studio albums brought together for the first time. The Studio Collection includes eight essential A&M Records albums across eleven LPs – The Dream Of The Blue Turtles (1985), ...Nothing Like The Sun (1987) (double LP), The Soul Cages (1991), Ten Summoner's Tales (1993), Mercury Falling (1996), Brand New Day (1999) (double LP), Sacred Love (2003) (double LP) and The Last Ship (2013) – with both Brand New Day and Sacred Love available on vinyl for the first time ever. Contained within The Studio Collection are some of the most iconic albums and songs of all time, including numerous GRAMMY® Award-winning tracks as well as a plethora of multi-platinum, platinum and gold worldwide awards. Beginning with Sting's first solo album, the revelatory The Dream Of The Blue Turtles from 1985 – featuring the cream of America's young jazz musicians in a politically-charged set – through 2013's The Last Ship, exploring the central themes of homecoming and self-discovery in the North East of England, The Studio Collection showcases Sting's meticulous song writing, evocative storytelling, and continual innovation in a ground breaking mix of musical genres and styles that have continually evolved throughout his remarkable career to date. From perennial favourites 'Englishman In New York', 'If I Ever Lose My Faith In You', 'Fields Of Gold', 'Seven Days' and 'Shape of My Heart', to the political 'We Work The Black Seam' and 'Russians', the gospel-tinged 'Let Your Soul Be Your Pilot' and 'Fill Her Up', the bossa nova 'La Belle Dame Sans Regrets' and 'Big Lie Small World', through to the French hip hop of 'Perfect Love...Gone Wrong' and the arabesque 'Desert Rose', The Studio Collection combines the full breadth and power of Sting, the composer, singer, activist and timeless songwriter, on high-quality heavyweight vinyl. The Studio Collection is out on September 30th and available to pre-order now. Click here to see the first look teaser. 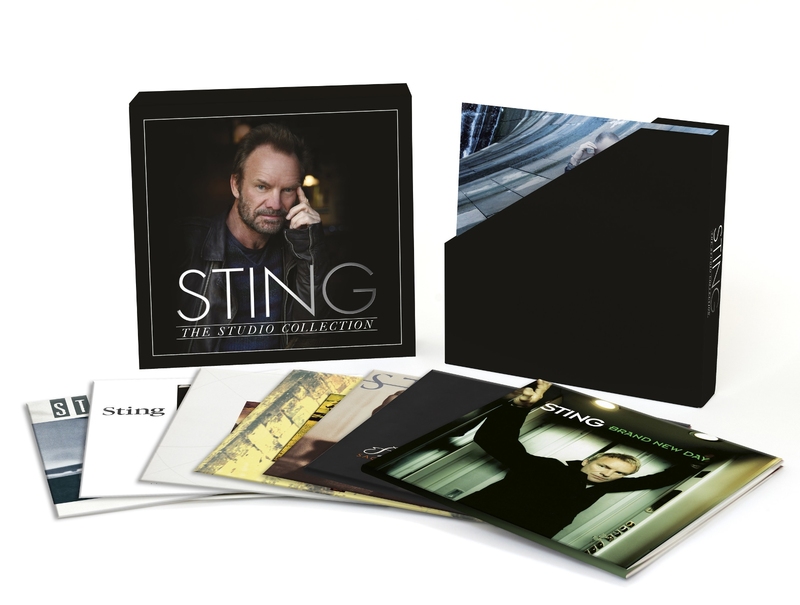 To complete The Studio Collection, Sting's new album 57th & 9th will be released November 11th.